An outdoor patio is a great place to incorporate stamped concrete. You can create a beautiful surface with texture, embossing, and intricate patterns that is also sturdy and virtually maintenance-free. This durable material gives you the look you want while only requiring a washing every once in a while to stay clean. Plus, it’s known for withstanding all kinds of weather conditions. 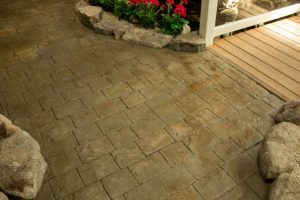 Walkways are another great option for stamped concrete. You can get the walkway of your dreams, create an inviting path to your entryway, and increase the curb appeal of your home all at once. In addition, you’ll have a walkway made of a material that’s known for its ability to hold up against high foot traffic. With all of the options available, you can get the look you want for a walkway that lasts and get all the benefits of stamped concrete. Similar to walkways, the driveway is another area that is a great fit for stamped concrete. Your driveway will get a lot of use and will be constantly exposed to varying weather conditions, so having a sturdy, durable material in this area makes a lot of sense. Stamped concrete holds up well against conditions like these, which makes it a good choice. Plus, you have all the extra design options available if you want to get creative. With stamped concrete, you can create an outdoor oasis around your swimming pool. Replacing chipped or damaged pool deck material with stamped concrete makes the area around the pool safer and more functional for everyone. Plus, it gives you the opportunity to create the look and feel you want around your pool. A new color and texture can brighten up the area and seriously increase the value of your home. Incorporating stamped concrete in the yard or around your garden can take your landscaping to another level. You can create backyard pathways through a garden oasis or build out a backyard patio for an extended outdoor living space. You can also use it to clearly separate sections of your backyard in an elegant and beautiful way. For example, if one part of your backyard is reserved for gardening and another is open for play or other things, you can surround your garden with a low wall and a walkway. This creates a clear visual separation in a beautiful way while also providing some protection for your garden. 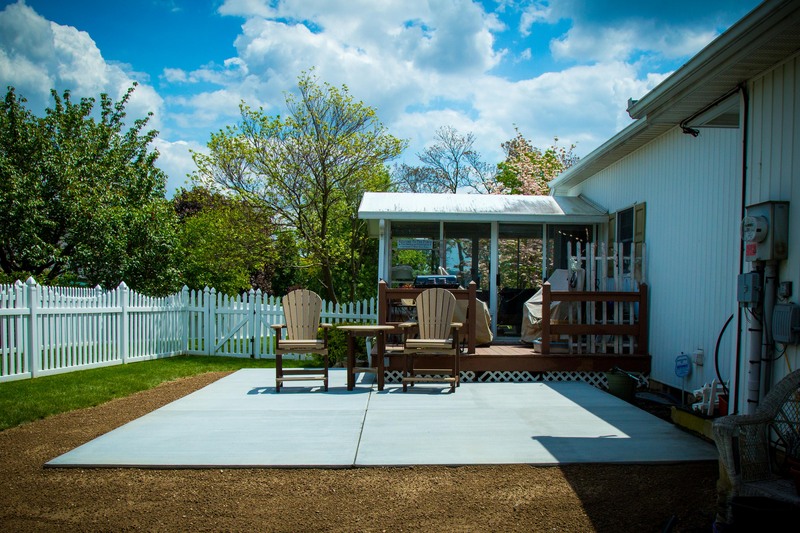 If you’re considering stamped concrete for your home, contact Zephyr Thomas at 717-399-4708 or stop by our showroom to see it in action!